30 years later…. Like Mother like Daughter at Age 7. 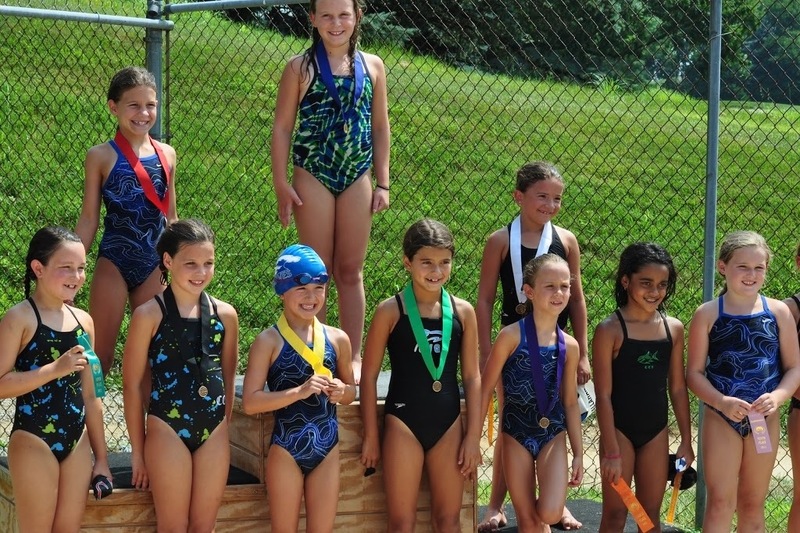 Take a peek at Kenzie and I in our 25 Fly Swim Championship Photos. This is seriously too funny. 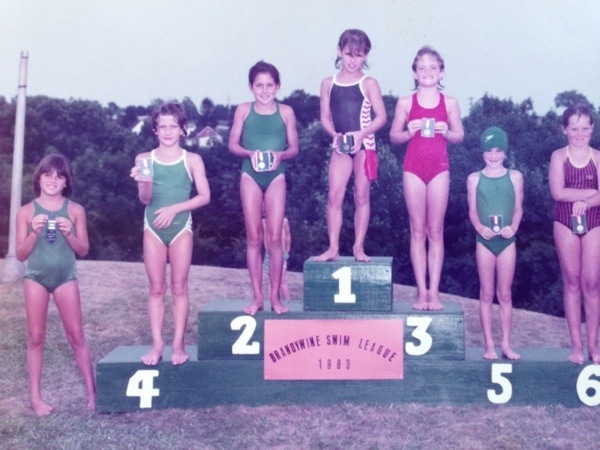 After her swim champs last weekend, I pulled out my old swim stuff to see that both of us finished 5th place in our 25 Fly at our 1st League Championships & we were the only kids to keep on our bathing caps for the group photo. Both of us apparently LOVE the cap and think it is part of the uniform. Kenzie was happy to take the cap off as soon as the photo was over! I remember feeling the same way! Too cute! I still need to check some old programs at my parents to see if our USS teams ever swam against each other. Congrats to Kenzie on a good summer season!